Our regular haunts for Chinese food. Discover the best Chinese restaurants in London, with everything from Michelin-starred dim sum to authentic regional cooking available across the city. Located on Camberwell Church Street, Silk Road is always packed and for good reason as it’s got to be one of the cheapest yet most delicious Chinese restaurants in London. You can spend ages in there with a big group, ordering all the food and drinking all the beers, and it’s somehow impossible to ever spend more than £15 a head. It’s easy to go wrong in Chinatown but we’ve never gone wrong at Beijing Dumpling on Lisle Street. You know it’s going to be good when you spot the chefs in the window, mostly hidden by huge bamboo baskets and bellowing steam, and it doesn’t disappoint. The dumplings are fresh, the service is brisk, and it won’t cost the earth – just how Chinatown should be. 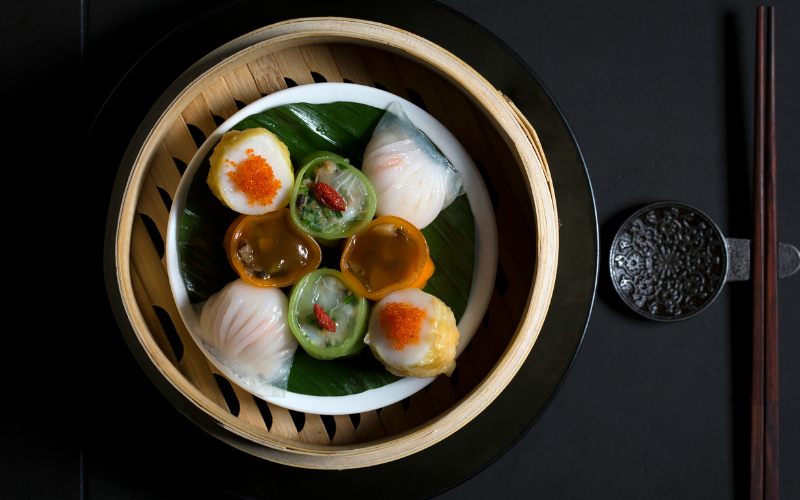 When it comes to the finest dim sum in town, Yauatcha is pretty hard to beat in our book. 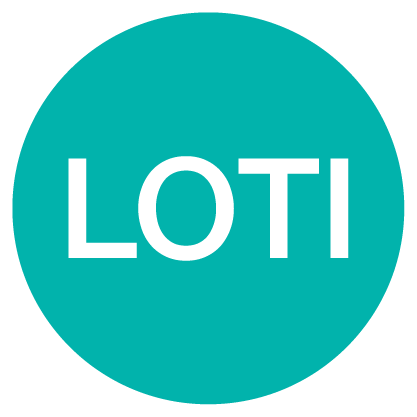 It now has two locations, the original in Soho and the newer one in Broadgate Circle, and we never tire of going in for some prawn and bean curd cheung fun, xiao long bao, or char sui buns. Admittedly it’s not the cheapest on this list but if you can get there between 2pm – 5:45pm Monday to Thursday you can have the Taste of Yauatcha menu for £19 per person. Strange little name but who cares when you can try out food from Xi’an by the same people that bought you Sichuan Folk? 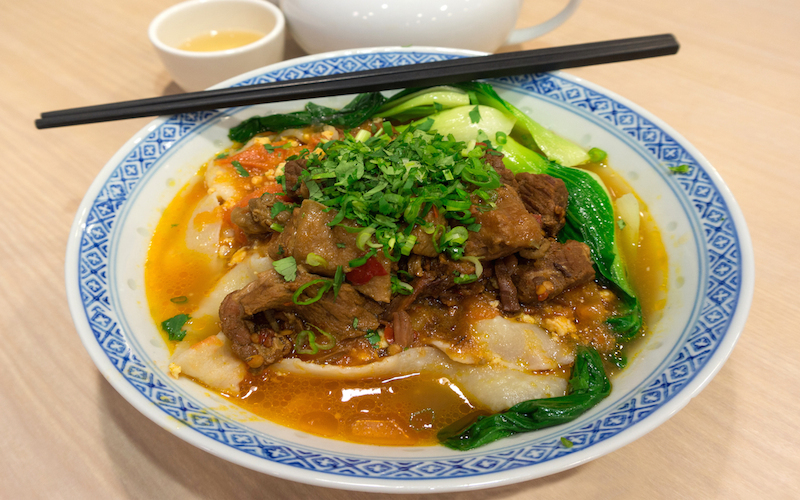 It’s cheap and cheerful and you can’t go wrong with the pork and veg dumplings, the hand pulled noodles with chunky beef and chilli sauce, and the Xi’an pork ‘burger’. Highly recommended if you’re in the area and want to impress someone with your knowledge of regional Chinese cuisine. Located on Camberwell Church Street, Silk Road is always packed and for good reason as it’s got to be one of the cheapest yet most delicious Chinese restaurants in London. You can spend ages in there with a big group, ordering all the food and drinking all the beers, and it’s somehow impossible to ever spend more than £15 a head. It specialises in food from the Xinjiang region and if you don’t order the smacked cucumber salad, the lamb fat skewers, the big plate chicken and the pork dumplings then you’re doing it all wrong. Like Yauatcha and Hakkasan, Park Chinois was originally set up by Alan Yau before he moved on to other things (as he always does). 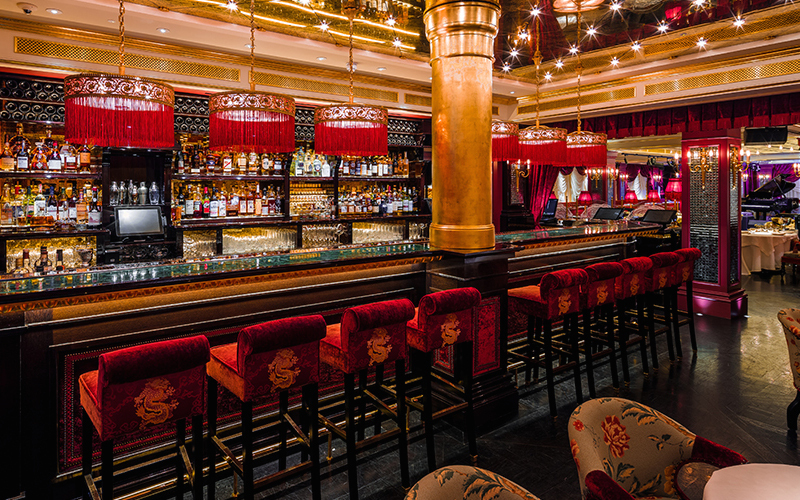 Park Chinois might just be his magnum opus, a ridiculously lavish palace that sticks two fingers up to austerity Britain – well it is in Mayfair after all. Dining here, with its chandeliers, red velvet drapes and gold taps shaped like flying ducks, feels like stepping back to another era and we completely adore it. There’s incredible dim sum, whole roast Peking duck, lobster, crab, and even some modern creations such as the Park Carbonara made with sea urchin. This place, more than the others even, could break the bank but check out the Prix Fie lunch menu if you want to keep it tidy. Or just forget it and go all out. When it comes to the finest dim sum in town, Yauatcha is pretty hard to beat in our book. 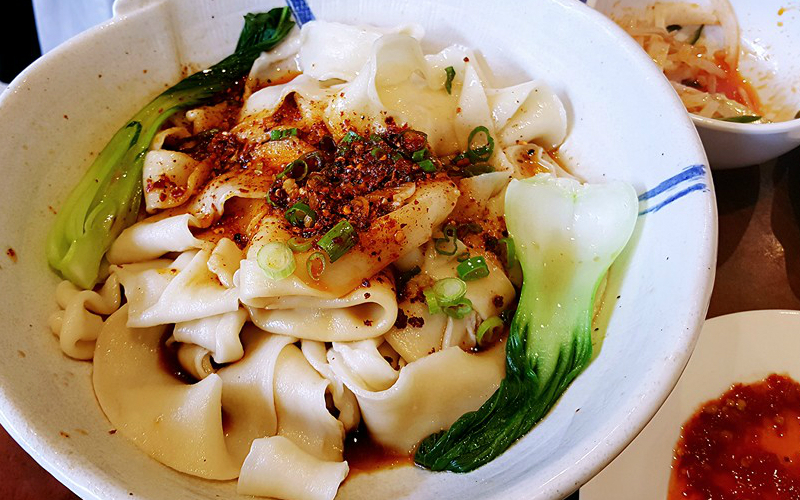 It now has two locations, the original in Soho and the newer one in Broadgate Circle, and we never tire of going in for some prawn and bean curd cheung fun, xiao long bao, or char sui buns. Admittedly it’s not the cheapest on this list but if you can get there between 2pm – 5:45pm Monday to Thursday you can have the Taste of Yauatcha menu for £19 per person, surely one of the most insanely good value eating experiences you can have in London. Aside from dim sum, Yauatcha makes some pretty mean cakes and macaroons too. 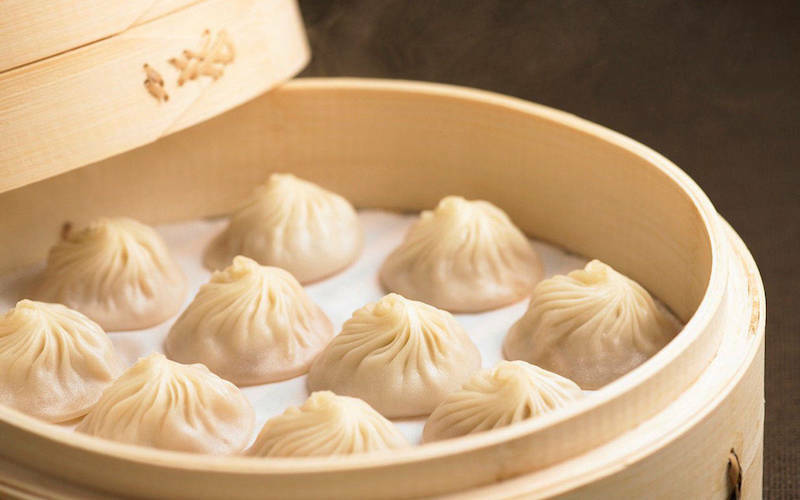 In case you’re not already familiar with Din Tai Fung, it’s a multinational chain originally founded in Taiwan that specialses in dim sum, particulalry Xiao Long Bao (soup dumplings). For its first ever European outpost, DTF has landed in Covent Garden. It’s walk-ins only but with close to 250 covers you (hopefully) shouldn’t have to queue too long and there is the first ever Din Tai Fung cocktail bar inside, serving Taiwanese-inspired cocktails and Chinese tea while you wait. 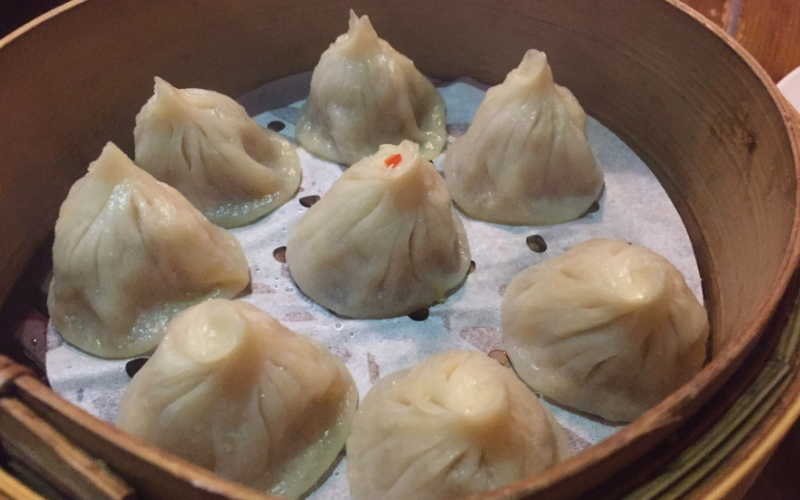 The Xiao Long Bao here are indeed incredible; the skins just the right thickness, the soup full of flavour and the filling fresh as you like. Probably our favourite dumplings are the prawn and pork shao mai. Made with a fresh prawn topping off the dumpling and with soup inside too, these were a near on perfect package and the ones we’d hurry back to order in a flash. We also loved the pork and veg wontons in black vinegar and chilli oil, and the crispy golden prawn pancake. For dessert it’s worth trying the red bean and chocolate xiao long bao too. Sister to Yauatcha, Hakkasan also knocks out some beautifully refined Chinese food at its two locations in Mayfair and Hanway Place. It loses minor points for the permanent nightclub soundtrack but the cooking more than makes up for it. 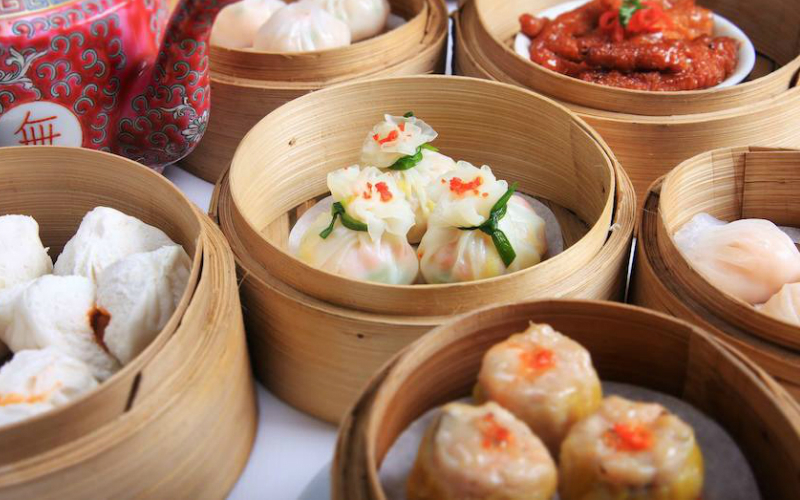 Again, you could spend a small fortune if you go for dinner but check out the Dim Sum Sundays menu available from midday until 6:45, which is £62 per person and includes a bottle of champagne to share, two cocktails each, a banging selection of dim sum and a main course too. A pretty civilsed way to spend a Sunday we think. Strange little name but who cares when you can try out food from Xi’an by the same people that bought you Sichuan Folk? It’s cheap and cheerful and you can’t go wrong with the pork and veg dumplings, the hand pulled noodles with chunky beef and chilli sauce, and the Xi’an pork ‘burger’. Highly recommended if you’re in the area. Beloved of foodies everywhere for years, A Wong finally won a Michelin star in 2017 and deservedly so. 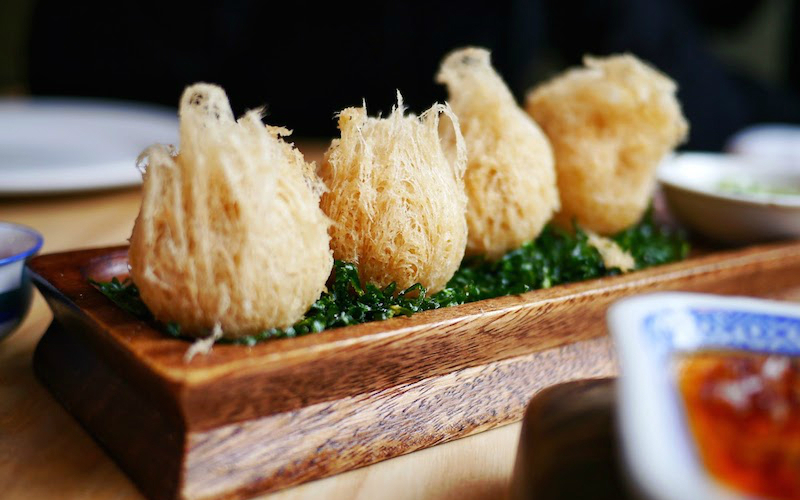 This is not a place to indulge in the classics as Mr Andrew Wong cooks up a creative storm of modern twists of dim sum – think rabbit and carrot puffs shaped like little carrots or wagyu tart with truffle. It’s fun, it’s delicious and even though it’s in Victoria you should still go there. We absolutely cannot wait for A Wong’s next place opening in the Bloomberg Arcade in 2018. Located on the 10th floor of the Royal Garden Hotel, overlooking Kensington Gardens, Min Jiang wins big points for setting. 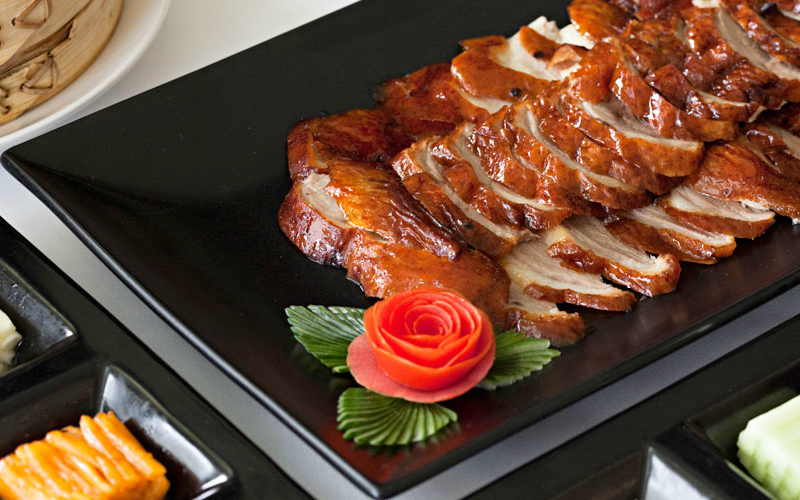 It also wins big points for its wood-fired Beijing duck, which is surely the best you can find in London. First they bring you a plate of duck meat and pancakes (you know what to do) and also slices of thin crispy duck skin which you dip into sugar, which is so good you’ll dream of it for months to come. You have an option of how the second serving of duck comes but we recommend getting it with the fried rice or noodles. Out of this world. Having started out at the Dorsett Hotel in Shepherd’s Bush, Shikumen now has a very respectable mini-chain of restaurants across London. The dim sum here is of a very good standard and priced well enough that you could become a regular without flexing the credit card once. 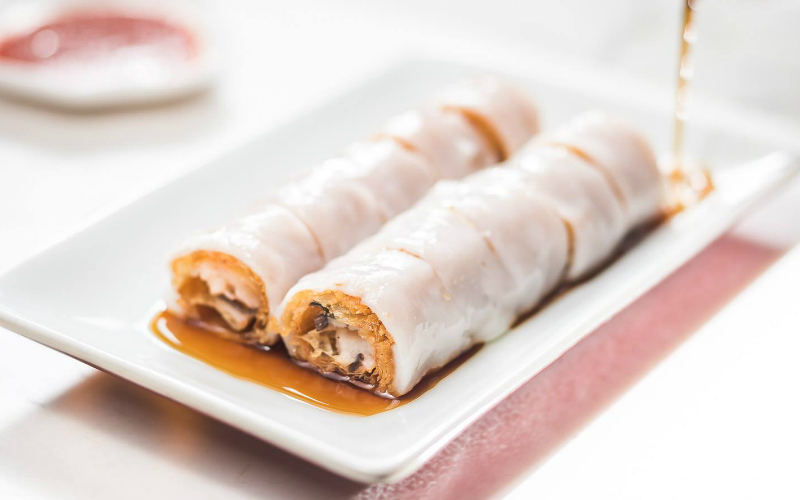 You can’t go wrong with the classics on the menu but we also like some of the more fun dishes too, such as the multi-coloured ‘rainbow’ dim sum selection and the eel cheung fun – it’s eely eely good. No prizes for guessing which region these guys specialise in and yes there are mouth-numbing Sichuan peppers all over the menu. This is seriously exciting Chinese food and a good place for shaking up your mate who only ever orders lemon chicken. 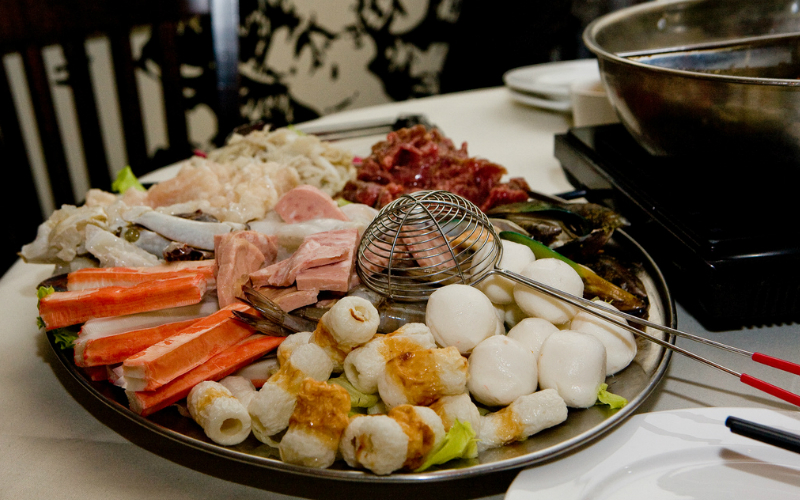 There’s offal dishes galore, meaty stews, whole deep-fried fish stuffed with Sichuan pepper, and all you can eat hot pot for £22.80. An absolute winner. Dragon Inn Club is just round the corner from A Wong in Victoria and although they are both on this Chinese restaurants map, Dragon Inn Club is a very different kind of place. 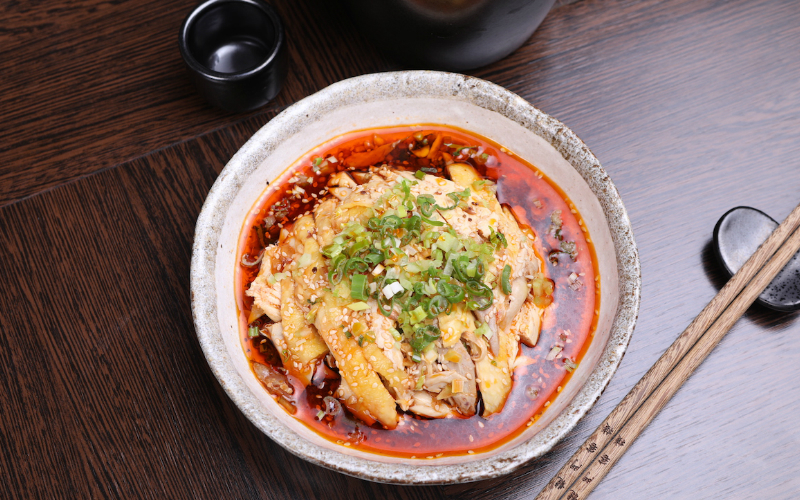 Decorated in traditional style, this is more of a classic Chinese spot where you can tuck in to roast Beijing duck, a variety of spicy hot pots, rice and noodle dishes and all those other favourites. It’s a comforting place and a good backup to know about if you’re in the badlands of Victoria and can’t get a table at A Wong.